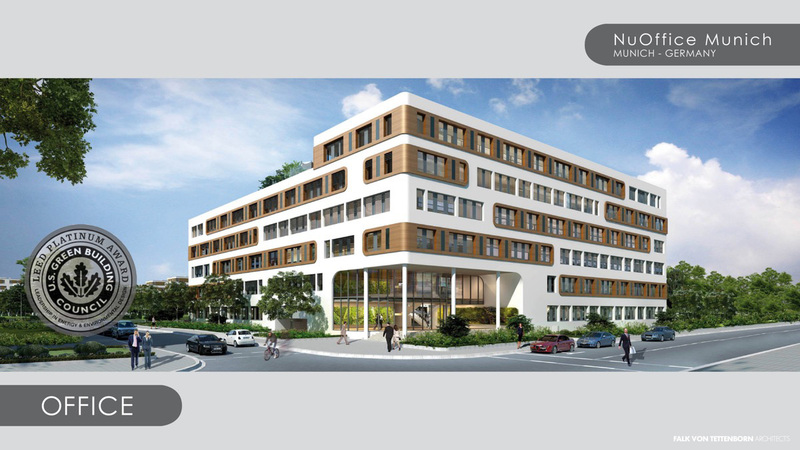 The NU Office building complex’s first phase, North of Munich City Center, was designed by Architect Falk von Tetterborn and built by property developer Hubert Haupt. Providing commercial space for companies who care about the well being of his employees. The space prides itself on its ability to create a comfortable work environment that motivates the performance of your staff. 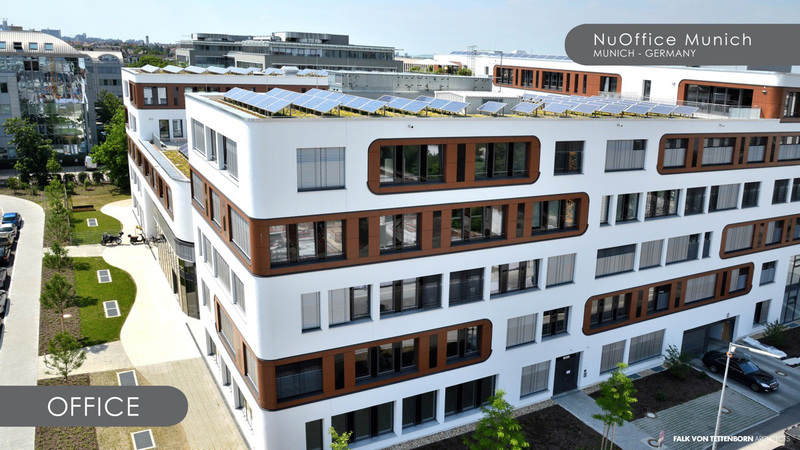 With a fitness center, catering options, and interior green spaces, the NU Office building is the ultimate workspace. Constructed in 2012, the commercial building was submitted to the US Green Building Council (USGBC) for consideration boasting a score of 94 points, with a minimum of 80, giving the Nu Office not only a LEED Platinum score, but the highest score in the world for its category. 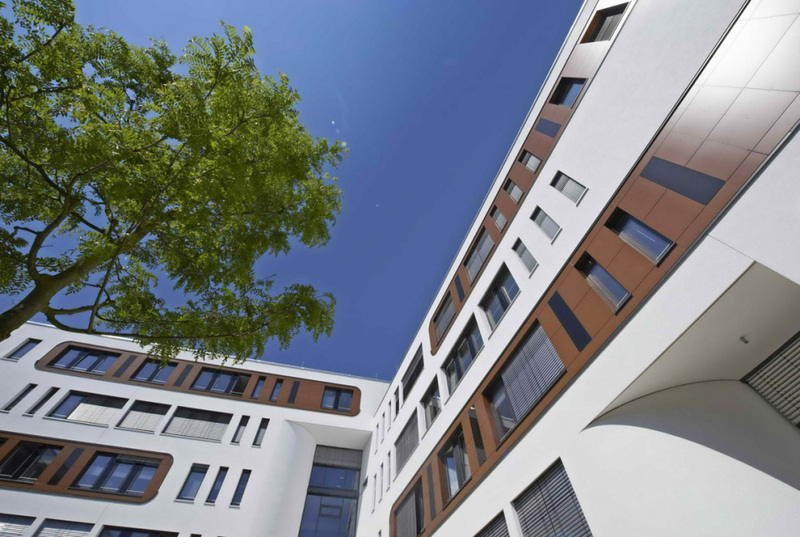 The designers worked closely with Fraunhofer Institute of Building Physics to create a conceptual design that would allow unique energy efficient solutions. This results in the creation and implementation of a building that relies heavily on renewable energy and technology. 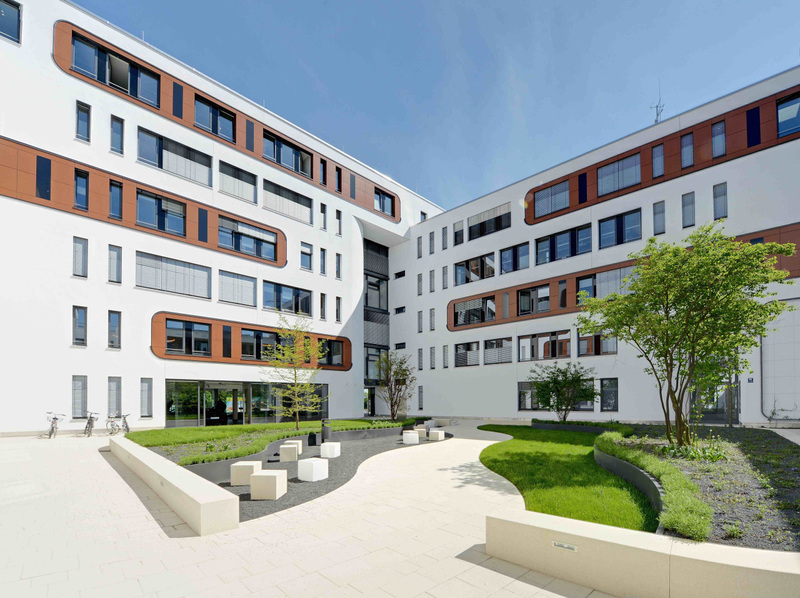 Both heating and cooling of the building are achieved through the use of a concrete core temperature control system, while the use of groundwater and district heating account for the building’s energy use, requiring no electricity. The building’s exterior was realized with white render and Alucobond Plus Wood in Royal Cedar. The building was designed on three main principals: functionality, energy efficiency and visual appearance. The architects are still working beyond their Platinum certification to create an office space that is entirely carbon neutral.